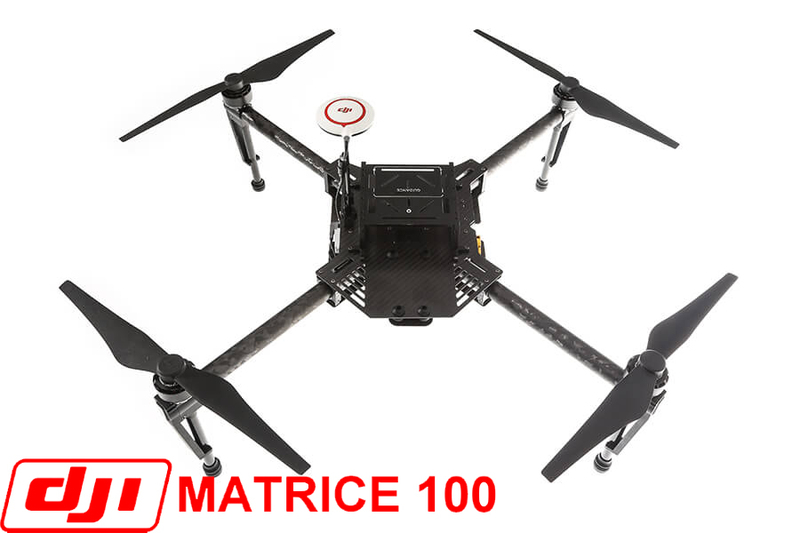 Now you can create the answer with DJI's newest platform The Matrice 100. Whether used for research, for agriculture. for business, or for fun, the Matrice 100 is a stable, flexible, and powerful platform that allows you to turn your dreams into reality. It is geared up by 4 powerful, brushless motors and four lightning fast Electronic Speed Controllers integrated into the platform, giving you complete control during flight. This further imparts the required strength to drone enabling it to carry a flexible payload capacity, you have the flexibility to create the system you need. And the price is around $3,269.00. Start flying quickly, and enjoy stable, reliable flight, and more accurate position holding and flight planning. DJI Matrice 100 platform has all of DJI’s easy-to-fly technology built in, and includes the flight controller, two expansion bays, propulsion system, GPS enabling faster satellite acquisition, DJI Lightbridge, adjustable arm angle, a dedicated remote controller, and a rechargeable battery. The system and features automatically manage the most complex tasks required for flight, so you can focus on your work. 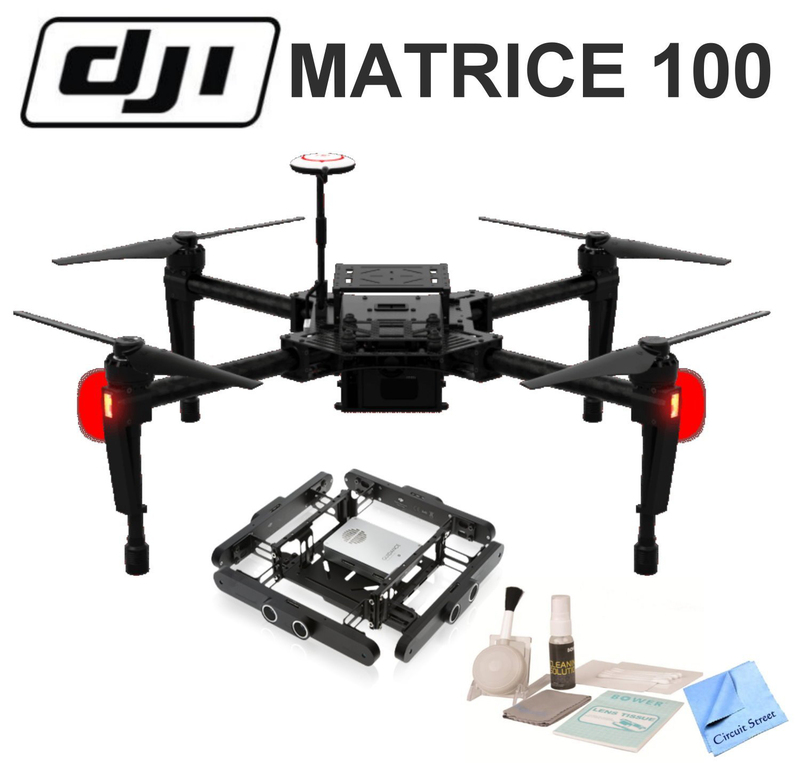 DJI's newest platform The Matrice 100 what we have here is the Matrice 100 by DJI. It's their latest quadcopter. It is a development platform so this unit is not ready to fly out of the box requires assembly when assembling this. You have to be really careful. There are some brackets on here that allow you to increase yaw torque and greater response by tilting the arms to a 3 degree angle. And it allows you to change the pitch of your propellers. Flexible to match your flight needs, adjusting the arm angle of each of the 4 arms is quick and easy. We did also notice that these screws are a number of different sizes and lengths and all came with Loctite but if that Loctite isn't on the screw when you put it in. They do have a tendency to loosen so you'd need to definitely make sure you have lock tight on them. This unit has two GPS ports one on either side that help you to track your Matrice 100’s position in real time. It also has additional ports on the left side on top for power and in CAN-buses and UART buses on both sides and then on the right hand side below is some additional power attached to this Matrice 100. We have the guidance system which allows you to have obstacle avoidance so if you get too close to it. It's going to actually move away by default. It is about 18 inches out of the box but you can configure that using the software. This uses the same controller as the inspire one so you have the Lightbridge technology and interface with the DJI Pilot Mobile App which allows you to get all the same metrics as you would find on the inspire one also installed on. The included DJI Lightbridge increases your flight range to 3.1 miles (5km). Take control of your platform with the customizable, long-range remote controller included with the Matrice 100. Using DJI’s X3 Camera and gimbal can transmit data to you and and bring a live HD view. This is one of the options that you can do if you want to provide your own FLIR camera. The X3 gimbal camera can record up to 4K 4096x2160p video at 24 fps, and capture 12-megapixel images. It features a 1/2.3" Sony EXMOR CMOS image sensor. You could certainly do that there are interfaces using CAN-buses and UART interfaces to allow you to connecting third party components of your choice. With one battery is about twenty minutes of flight time. It does have the option of adding in a second battery, they'll give you a total flight time of approximately 40 minutes. An additional battery gives greater power to both your platform and any additional devices or accessories that you wish to fly with. Hovering with dual TB48D batteries, the flight times can achieve maximum 40 minutes. The DJI Matrice 100 is a good development platform. And it has many uses that we could see in our minds. The camera could be mounted on the top. You could do that for great bridge inspections if you want to mount an air sensor or a gas detector on here. You could do that and get all that information back through the DJI Pilot Mobile App. You could also mount a laser so that you could interface with a total station in construction and have this mark all the points of all the corners of the building where you need to do the digging for a foundation to learn more about the DJI Matrice 100. Fly with the feature-rich DJI GO app or create your own app with the DJI SDK. See a live view, access a real-time map, and more by simply plugging to your mobile device to access all of the DJI GO App controls and features. If the DJI GO App displays the Low Battery Level Warning, stop flying and land the aircraft immediately. You will still be able to control the aircraft's movement when this warning is tiggered. Use this app to control the gimbal, camera and other features of your flight system. The app also comes with the Director, Store, and User Center sections to configure your aircraft and share your content with friends. It is recommended that you use a tablet for the best user experience. The DJI Matrice 100 drones are made of lightweight carbon fiber, increasing stiffness and bringing unmatched reliability. Each of the arms contains DJI’s new soft vibration absorbing material that virtually eliminates feedback from the powerful motors, keeping your critical components stable and allowing unprecedented accuracy. A feature complete landing pads or “feet” are installed at the base of each arm to protect your Matrice 100 when landing. These innovative pads greatly reduce impact, protecting your DJI system and eliminating the chance of your platform unintentionally lifting off of the ground. 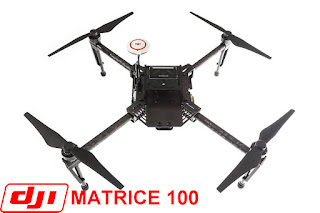 0 Response to "DJI Matrice 100 Price, Features, and Specs"